Step aside, salted caramel mocha! 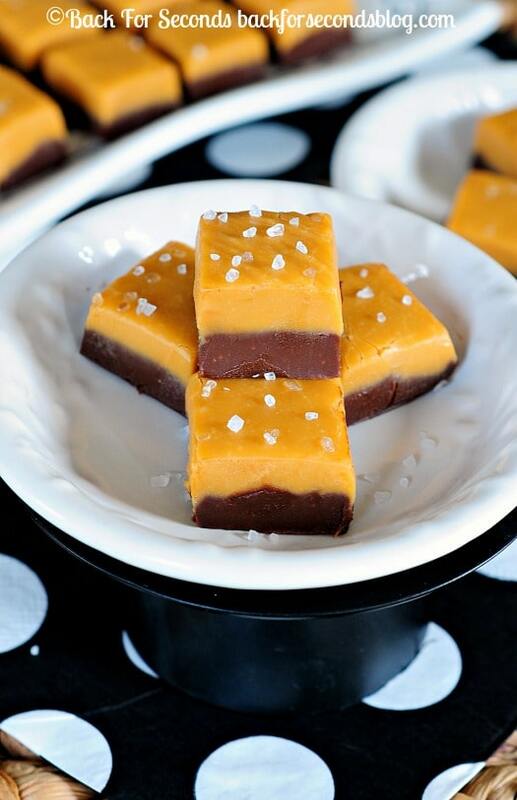 This Salted Butterscotch Chocolate Fudge is about to be all the rage! 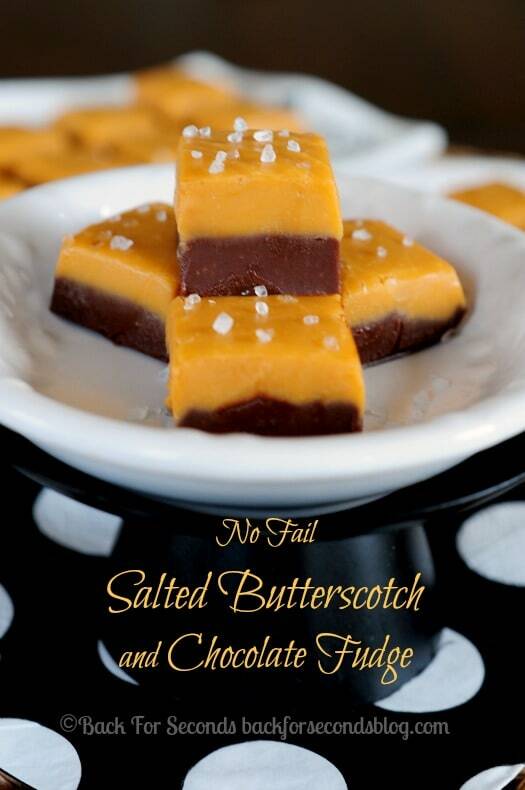 This easy no fail fudge is sure to be a new favorite! I don’t know if I can even accurately describe how incredibly delicious this fudge is, you guys! Before I even try though, you need to know that this is the easiest fudge in the world to make. You can’t mess it up…seriously. Fudge can be tricky to get right, but this recipe is truly “no-fail”! 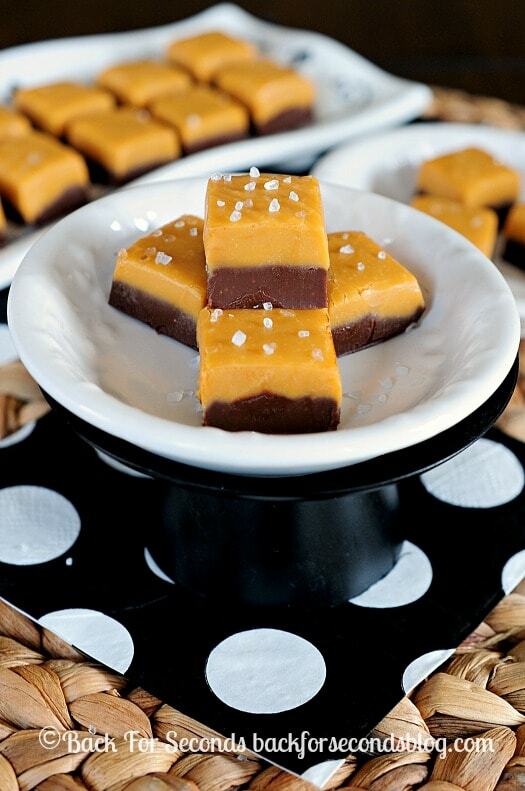 You don’t need a candy thermometer or any special equipment to make this amazing fudge. Do you have bowls? Spoons? A microwave? Ok, you’re all set! This fudge is so smooth and creamy. The texture is exactly what you would want in a good fudge. And the flavors are dynamite!! The bottom layer is pure unadulterated chocolate – ahhhh. The top layer is sweet and salty butterscotch with a little extra sea salt on top. Gone are the days of overly sweet fudge. The sea salt adds the perfect balance and leaves you craving more! Two gorgeous layers of fudge with a light sprinkling of sea salt to finish? Yes please! Yum! And I love how these are great fall flavors too! Now I do love salted caramel mocha but this butterscotch flavor might take the prize! !